Get excited for the 2019 FIS Freestyle, Snowboard and Freeski World Championships! The 2019 FIS Freestyle, Snowboard and Freeski World Championships will bring the world’s best skiers and riders to Utah February 1-10, 2019. This event continues a long tradition of Park City and the Wasatch mountains hosting high action, elite level snow sport competition. Through hosting multiple FIS World Cups, FIS World Championships and the Olympic Winter Games, Utah’s resorts, athletes and organizers have worked with the international community to innovate, modernize and grow the visibility of winter sport. Utah will welcome over 1,300 teams and athletes from more than 40 countries for 10 days of winter action sports events. Led by local organizers U.S. Ski & Snowboard, Solitude Mountain Resort, Park City Mountain and Deer Valley Resort, in conjunction with the Utah Sports Commission and Park City Chamber, Utah will showcase the world’s top athletes on some of the best venues on the international circuit. Learn more about the 2019 FIS Freestyle, Snowboard and Freeski World Championships. 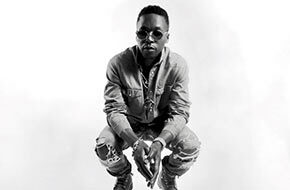 Deer Valley Resort is excited to announce that Lupe Fiasco will perform at the 2019 World Champs Closing ceremonies on Main Street. Closing ceremonies, including the Lupe Fiasco performance are free and open to the public. Wasalu Muhammad Jaco, better known by his stage name Lupe Fiasco, is a Chicago-born, Grammy award-winning American rapper, record producer, entrepreneur, and community advocate. The independent rapper who parted ways with his former label, Atlantic Records, following the release of 2015’s Tetsuo & Youth, is pegged as one of the most gifted lyricists and visionaries to grace the mic. Rising to fame in 2006 following the success of his debut album, Food & Liquor, Lupe has released six acclaimed studio albums; his latest being Drogas Wave, released in 2017 on his own label, 1st & 15th. These albums have netted 3 platinum singles, 3 RIAA Gold Certifications, 12 Grammy nominations and one Grammy Award in 2008 for his infectious single, “Daydreamin,” feat Jill Scott. With a trilogy of albums set for 2018 and beyond, Lupe is at his creative peak as an artist. His efforts to propagate conscious material helped solidify him as GQ’s Man of the Year in 2006, and garnered recognition as a Henry Crown Fellow. While musical genius and ingenuity are at the forefront of Lupe’s achievements, the artist extends his innovation to projects that aim to foster creative discourse and opportunities in underprivileged and impoverished communities. As the co-founder and co-owner of community initiatives such as, We Are M.U.R.A.L, The Neighborhood Start-Up Fund, Society of Spoken Art, and Studio SV, Lupe Fiasco proves that he is more than just a mouthpiece for change, but a committed facilitator of intellectual community discourse and outreach. We encourage guests to take the free transit or carpool to the event. Deer Valley Resort does not allow animals on property. Due to the high volume of guests and amplified noise we ask all guests to leave their animals at home. Any service animals brought onto the property must be wearing their approved service vests.